So much for that long-awaited market correction. 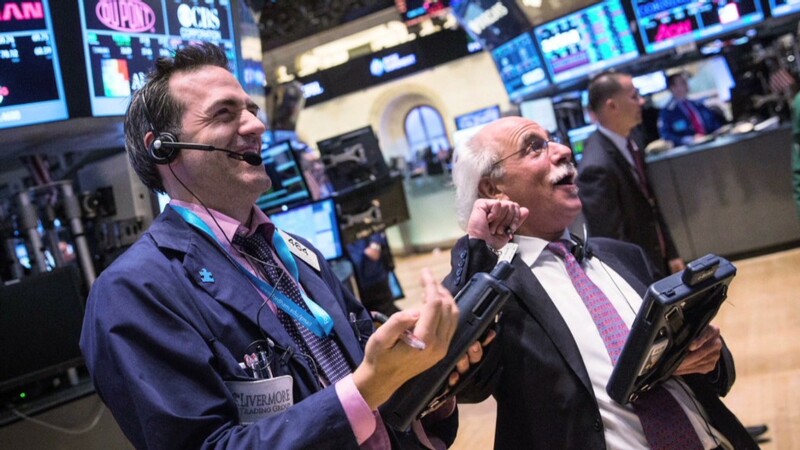 U.S. stocks have mounted an impressive comeback in recent days, fueled by easing geopolitical headaches, strong corporate earnings and continued low interest rate policies by the Federal Reserve. The burst of buying leaves all of the major markets flirting with key levels. After plunging as low as 16,333 on August 7, the blue-chip index is now less than 250 points away from its all-time high of 17,151.56. The bounce has been led by the likes of Boeing (BA), Coca-Cola (KO) and Home Depot (HD), which impressed Wall Street on Tuesday with strong earnings and a sunnier outlook for the year. Unlike its cousins in the index world, the Nasdaq has not returned to its pre-recession highs. But the Nasdaq, which is home to many tech giants like Google (GOOGL) and Microsoft (MSFT), is getting closer. This week the index clawed its way to the best level since the dotcom bubble popped in early 2000. 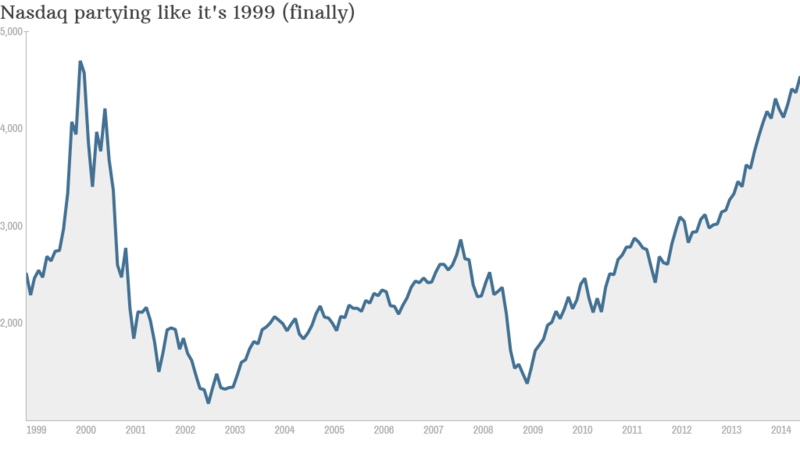 The Nasdaq is about 13% away from its record high of 5,132 that was set in March 2000. Apple (AAPL) has helped lead the way higher among tech stocks. 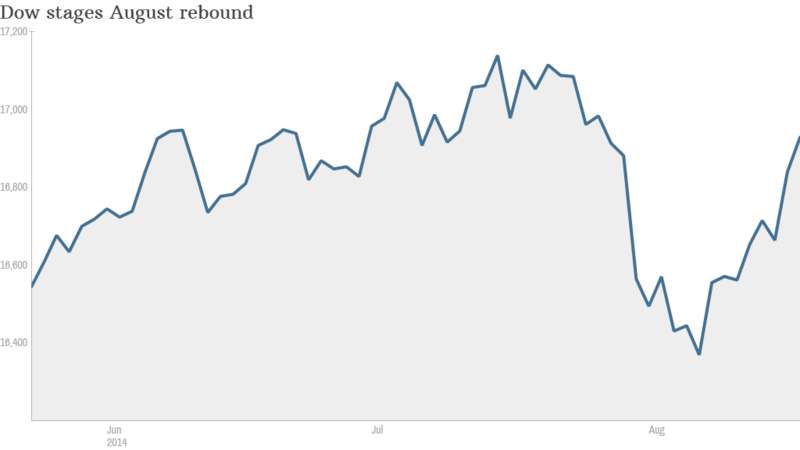 The iPhone maker is up about 5% over the past week and is nearing an all-time high of its own. But it's not just big-cap stocks that are being showered with love of late. 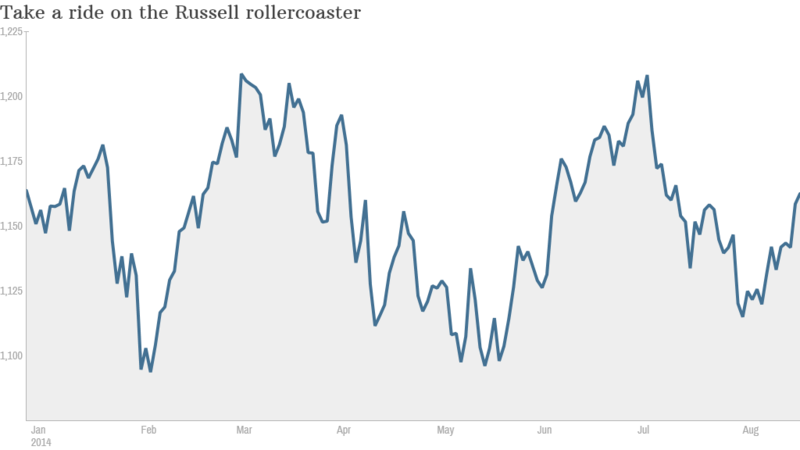 After tumbling into bear market territory (market jargon for a tumble of 20% or more from previous high) earlier this year, the Russell 2000 index is virtually back to even for 2014 now (down just 0.1%). This index of small-cap stocks fell out of favor as the U.S. economy unexpectedly contracted earlier this year, but it's rebounding as growth has ramped back up.